Since 2014, IGENOMIX has been developing a line of research to understand the role that the endometrium plays in infertility. Our recent publications in the American Journal of Obstetrics and Gynecology (AJOG) show a new dimension of endometrial health to improve the reproductive chances of IVF patients. Performing embryo transfer at the right time, in a receptive a uterus with a balanced endometrial flora, free of disease-causing bacteria, can visibly improve the probability of pregnancy. 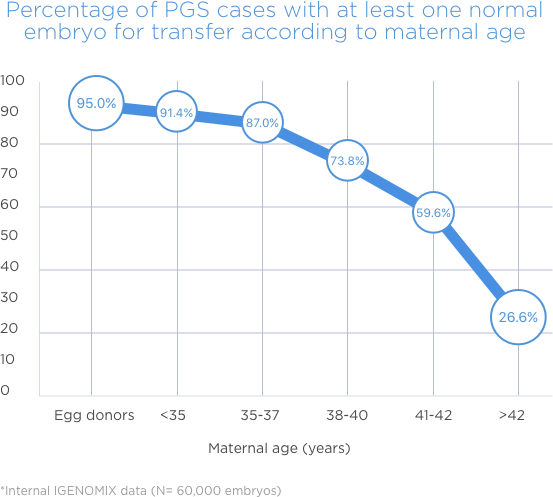 Each embryo obtained in a IVF cycle is precious, and it deserves the best chances of implantation. The ERA test evaluates endometrial receptivity to find the optimal time for embryo transfer, preventing implantation failure. EMMA is a test to determine the percentage of healthy bacteria in the endometrium -the endometrial flora, improving the pregnancy chances of infertile patients. By analyzing the endometrial flora, EMMA determines whether the endometrial environment is optimal for embryo implantation, in patients with recurrent implantation failure. EMMA provides information about the ten most abundant bacteria found in the endometrium, recommending embryo transfer or appropriate treatment, depending on results. ALICE is a diagnostic test to detect the bacteria causing chronic endometritis, a condition related to infertility. ALICE identifies the most common bacteria causing the disease and helps clinicians to recommend appropriate antibiotic and probiotic treatment.